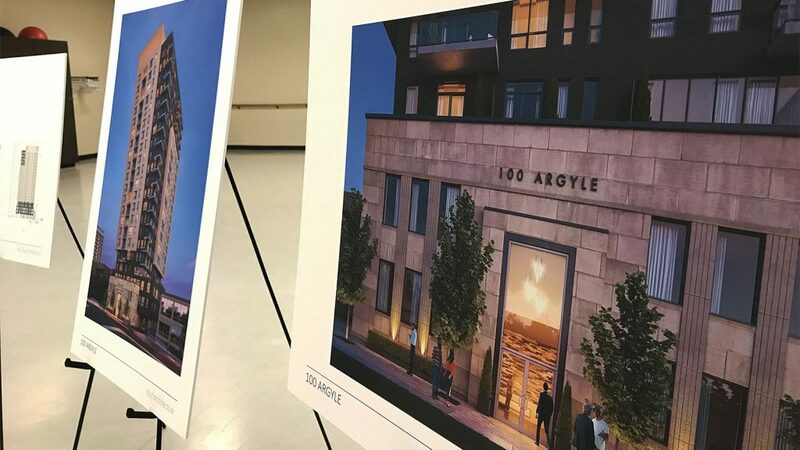 A proposed 21-storey high-rise on Argyle Avenue has caught the ire of some Centretown residents. Their concerns were aired at an open house on Wednesday night. Shawn Barber, president of the Centretown Citizens Community Association, said the project could have been completed on nearby Catherine Street, where taller buildings are permitted. Somerset Coun. Catherine McKenney hosted the forum along with representatives from developer Colonnade BridgePort and the architecture firm Fotenn. More than a dozen citizens braved the snow-covered streets to voice their concerns in person. “This is so egregiously above what was foreseen for this street,” said Centretown Citizens Community Association president Shawn Barber. The City of Ottawa is reviewing an official plan amendment and a zoning bylaw amendment for the 21-storey project, which would be built on the south side of Argyle Avenue between Metcalfe Street and Elgin Street. The amendments have been requested to build beyond the nine storey limit permitted on the street, remove heritage overlay provisions and reduce the number of required parking spaces. Residents were primarily concerned about the height of the building that would tower over the south face of the Museum of Nature and back into the Ottawa Police Service building. Studies of the project indicate that the museum won’t be in darkness caused by the shadow cast by the proposed building. 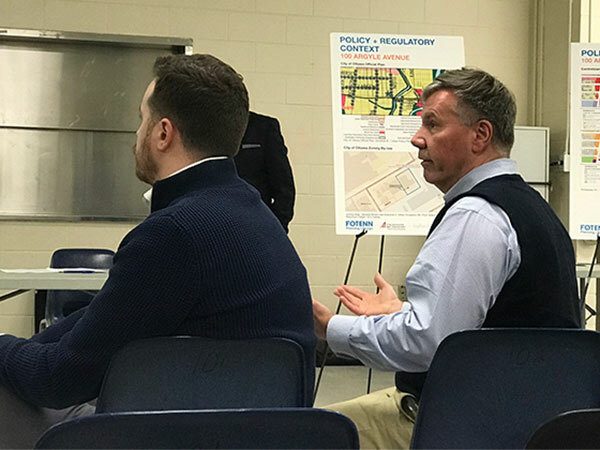 Other concerns included the building looking out of place on the street, increased vehicle traffic and a lack of emphasis on affordable housing. Some residents felt the building was visually appealing and appreciated that the high-rise would contain much-needed rental units. The structure that currently occupies the spot — a two-and-a-half storey limestone clad office building — is considered a “building of heritage significance” by the city. The project will be reviewed by Ottawa’s built heritage sub-committee if the amendments are approved. McKenney said she hoped to encourage density in the area but wanted to ensure community feedback was respected. “We want to make sure there’s a healthy mix, ” she said. The proposed development is slated to go before the city’s Urban Design Review Panel — an independent group of volunteer advisors — at the beginning of February.